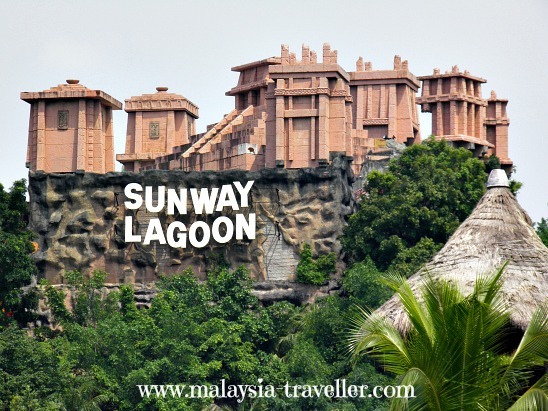 Sunway Lagoon Theme Park describes itself as Malaysia's premier theme park and Asia's Best Attraction and from what I have seen I think that is a fair comment. My daughter rates it as her joint favourite theme park in Malaysia (along with Legoland Malaysia) but she prefers Singapore's Universal Studios. 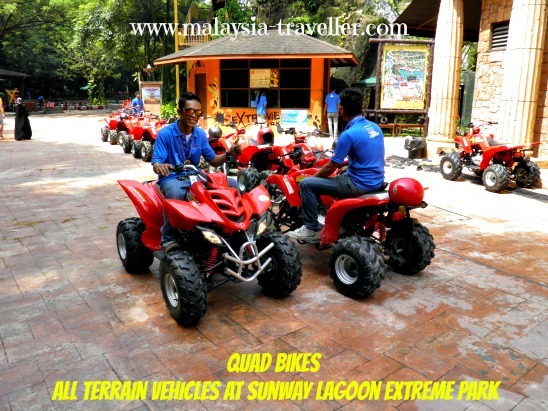 Sunway Lagoon is spread over 80 acres and is part of the wider 800 acre Sunway Integrated Resort City which includes a 5 star hotel, a very popular shopping mall, residential blocks, a hospital and more. Built on derelict tin mining land in Petaling Jaya south of Kuala Lumpur, the development is a successful example of rehabilitating an industrial wasteland. This is Asia's 1st Nickelodeon themed park and includes exciting water rides and attractions such as Monsoon 360, Jungle Fury, Kubarango, Splish Splash, Primeval and Hippo Valley. in the company of the kids' favourite Nickelodeon characters from Spongebob Squarepants, Dora The Explorer and Teenage Mutant Ninja Turtles. 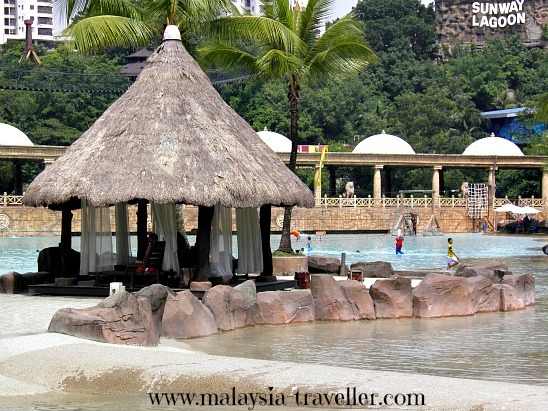 The Water Park comprises Waters of Africa, an African themed water park, and Surf Beach. My kids enjoyed the Congo Challenge, a six-lane water slide where people can race each other downhill headfirst on mats. 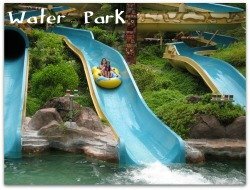 There are a number of other slides and tubes to enjoy as well as a lazy river and a waterfall. 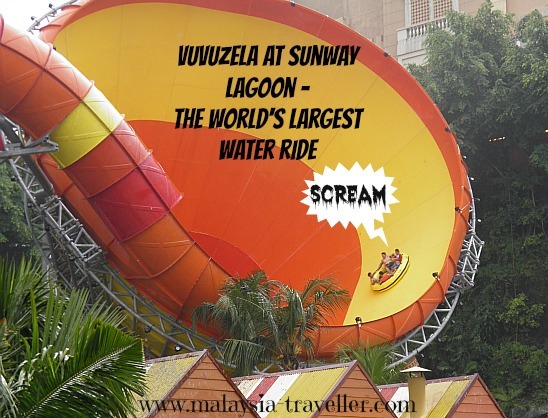 But the highlight of the Water Park has to be the Vuvuzela, which the park describes as the world's largest water ride. It is similar to the vortex ride at i-City, but Sunway's version is much higher and lasts longer. I expected there to be massive queues for this new ride but but there was no waiting time at all and we went on it twice. My daughter and her friends loved it! Surf Beach is said to be the world's largest man-made surf beach. The wave machine, which can produce waves of up to 8 feet in height, was not working on my recent visit. The backdrop to the beach is a 75 feet high volcano which is supposed to erupt periodically but again there were no eruptions on my last visit. The Surf Beach is a nice place to relax and if you arrive early you might be able to grab one of the curtained gazebos on the island for that extra tropical feeling. Of course proper swimming attire is required for this section of the park and changing rooms and lockers are provided. Another popular attraction at the Water Park is the Waterplexx 5D, a fun virtual ride in a cinema-like setting and with seats that move while watching the short (4 minutes) but thrilling movie wearing 3D glasses. The plastic seats and puddles of water on the floor give a clue of what to expect as the audience gets spashed and soaked during the experience. Expect to get wet! For land lubbers who prefer to stay dry there is plenty to do in World of Adventure including a roller coaster at the Lost City of Gold, a spinning ride called Apache Pots, and stomach churning upside down rides on the Tomahawk and Pirate's Revenge. The Wild Wild West has tamer rides for younger kids such as Butch Cassidy Trail, the Alamo and, my favourite, the Grand Canyon River Rapids. There is also the Colorado Splash some arcade games. 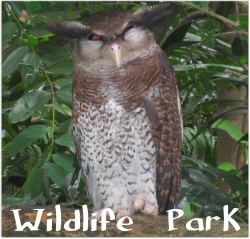 Wildlife Park is a great little zoo specialising in cute, cuddly, friendly animals and a few not-so-cuddly ones like eagles, pythons and tigers. The petting enclosure was a big hit with the family and we enjoyed hand-feeding the rabbits, tortoises and guinea pigs and petting the ponies. Over in the bird enclosure there were some amazingly friendly budgies who liked to use my wife's head and arms as a perch as well as kites, owls, peacocks, macaws and cockatoos. 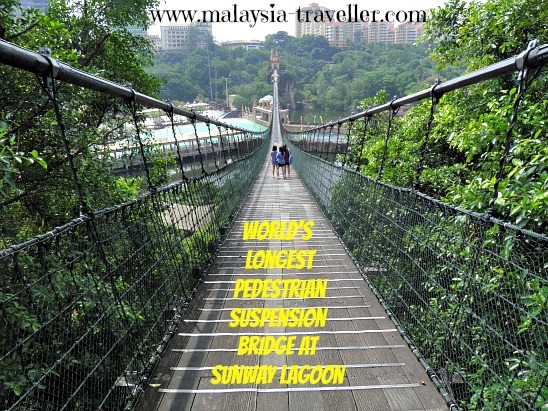 You can reach the Extreme Park by crossing a 428m long pedestrian suspension bridge (again claimed to be the world's longest). 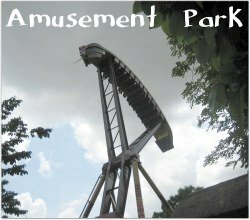 There are a whole bunch of adrenaline rush activities here for the thrill seeker. You can experience weightlessness (and probably a good deal of nausea - I didn't try it!) on G Force X, a slingshot ride which hurtles you 65m into the air at 120km per hour and apparently produces 5 G's of force. You can war-game with paintball guns, drive quad bikes, race Go-Karts, practice your climbing skills on the vertical climbing wall and bounce on the Power Jump Bungee Trampoline. There is also a 203m Flying Fox. In addition to frightening special effects, Scream Park employs live actors who jump out and scream at you, blow down the back of your neck and do lots of other scary tricks. Not suitable for the faint hearted. I did not enjoy it that much but then again it is not intended for old guys like me! TIP Buy your ticket in advance through Sunway's Online Ticketing and you may find special deals. 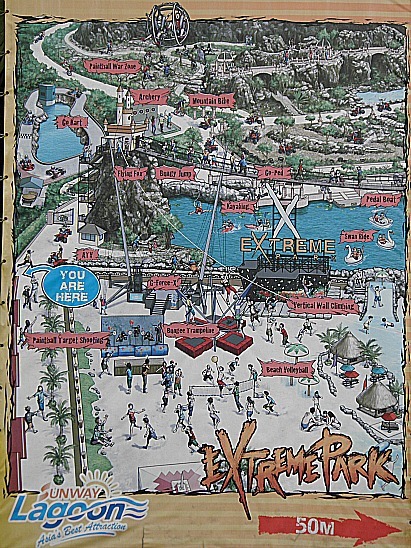 Note that most of the activities in the Extreme Park carry an extra fee (Bungy Jump, G Force X, Go Kart, Paintball Combat). Children below 90cm get in free. Seniors are age 60 and above (ID needed). Sunway Lagoon is open daily from 10am to 6pm. There are plenty of food outlets inside the park. No outside food is allowed. If you are coming by car there is a huge car park in the neighbouring Sunway Pyramid shopping mall but it gets really busy at weekends so arrive early. If you are a tourist staying in KL it would be probably be easiest to take a taxi. 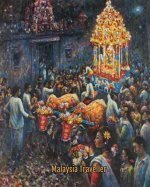 It is not far and will not be expensive. KTM Komuter trains stop at Setia Jaya and from there you can take the BRT Sunway Line bus to Sunway Lagoon. Putra LRT's nearest station is Kelana Jaya and again you would need a feeder bus. 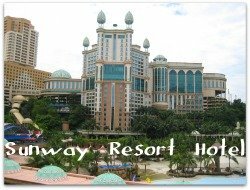 Sunway Lagoon has its own 5-star hotel, the Sunway Resort Hotel & Spa with a fine view over the theme park. 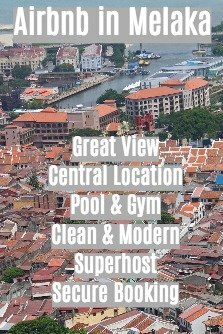 Not only is it super convenient for the theme park but it is also attached to one of the top shopping malls in KL, Sunway Pyramid, and there are many restaurants, bars, and entertainment spots in this area.